Everyone loves internet banking. It gives you the freedom to transfer money from one account to another, without even visiting your bank. All you need to is a working internet connection. If you are looking for a simple visual guide on how to transfer funds using SBI online banking, then watch this quick video. However, if you are on the slow internet connection, or would like to see the step-by-step text guide then read along. 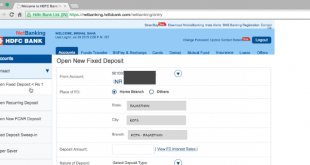 In this article, you will see how to transfer fund from SBI to HDFC bank using net banking. For the demonstration, I will use the screenshot from SBBJ account, but the transfer process is the same for all 5 SBI associated branch. So let’s get started. Update: Ever since PM Modi demonetized ₹500 and ₹1,000 currency to fight black money, Paytm – a mobile wallet has seen a 1000% spike in usages. 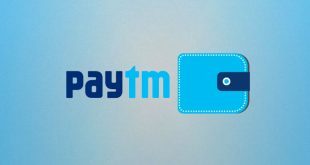 We recommend you also read out our latest post on Everything you need to know about- Paytm Wallet, and UPI after you are done reading this. To transfer funds using online banking, you will need to add the person as your beneficiary and only after that, you can make fund transfer. This is a one-time process. Once you successfully add them as beneficiary, you can transfer funds any time later. To add a person as a beneficiary, you need his/her name, account number, and branch IFS code. You need to ask them for these three details. Assuming that you already registered for Online Banking. Login to your Internet Banking account. Always pay special attention to the URL, to avoid any kind of phishing attacks. Before you transfer funds to another account you will have to add them as beneficiary. This keeps your account secure. So to Profile > manage beneficiary. There you will see three options. 2.3 To transfer fund to a different bank (like SBBJ to HDFC), use the inter-bank beneficiary. For this instance, we will go with this one. Enter details like Name, Account number, branch address or IFS code. If you don’t know what they are, ask the beneficiary. To find the IFS code from the branch address use this online directory. Once done, click on submit. You will get OTP on your register mobile no. Verify it, by going to account verification option. Beneficiary approval from the bank may take up to one day. This checks if the name and account number are correct or not. Once the status is active, you can proceed with the next step. Once the beneficiary is approved by the bank, you are ready to make fund transfer. Go to Payment/ Transfer > Interbank beneficiary. Next, select the transaction type as NEFT or RTGS. Note: If you are not sure about the transactions types, read this guide first. In 90 percent cases, you will be going with NEFT. Update: You can also transfer fund in Real-time using IMPS option. This transfer is done in seconds. Though double check the beneficiary name and account number before doing IMPS. Unlike NEFT, banks don’t verify the Account number and name in IMPS transfer. Select the Beneficiary name, enter amount and submit it. Next page will ask you to verify your details once again, hit confirm if everything is correct or cancel to go back to the previous page. ProTip: If you are making a big fund transfer to a new beneficiary, send a test amount (like 50 Rs) first. This will make sure, the amount goes to the right bank account holder. When will the beneficiary get the money? If you are transferring funds within state bank groups then fund transfer takes place in real time. But if you are transferring funds to another bank like SBI to HDFC then transaction take place between 8 AM to 6.30 PM for NEFT. There are 6 time-slots for work days. Saturday is a slightly different story. If you are doing IMPS (which you should) then fund transfer will be done in real time. What are SBI net banking charges? Net banking charges depend on various factors. For instance, there are no charges of registering for online banking. 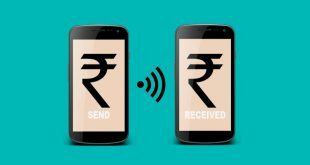 However, for third-party transfer, you may have to pay 5-10 rs extra per transaction. Similarly, bill payment and mobile recharge using net banking are usually free. However, sometimes the merchant (like IRCTC) charge extra service charges. Please note that the above statements are a general overview. I highly suggest you go through SBI’s fan page for details. How to transfer money via ATM to ATM fund transfer. For any query feel free to tweet me.